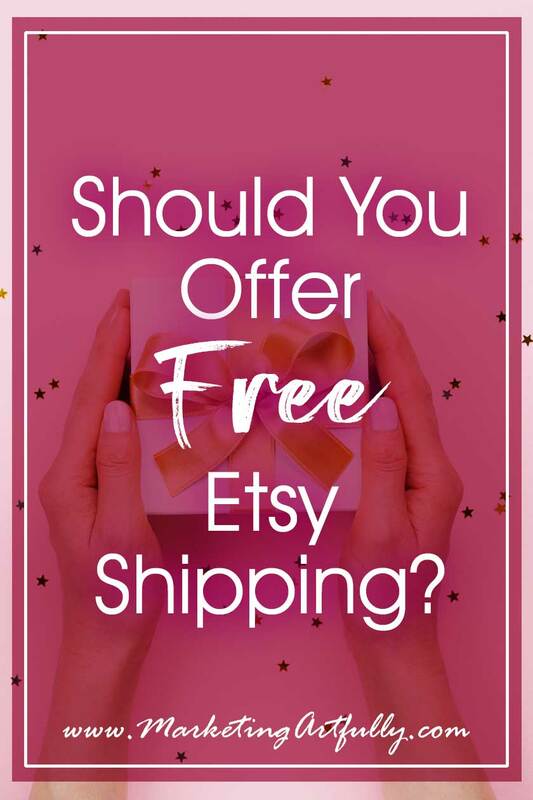 Should You Offer Free Etsy Shipping? 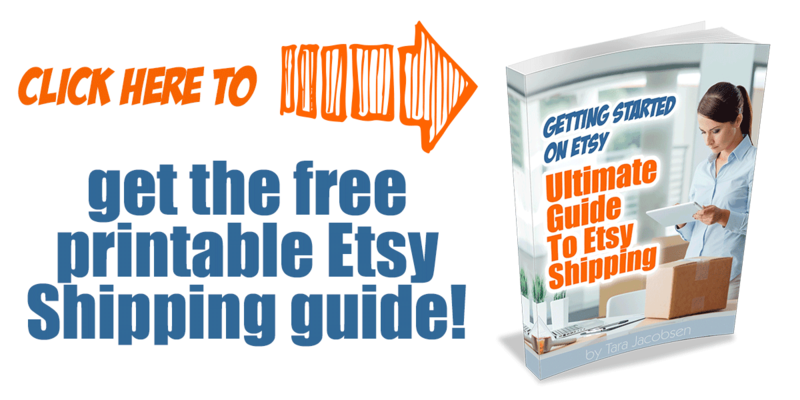 You are here: Home / Etsy Marketing / Should You Offer Free Etsy Shipping? Etsy recently announced that shops that offer free or reduced shipping would receive a bonus in SEO search. So what does that mean to the average Etsy seller? For handmade, vintage and supplies. As an Etsy seller we are fortunate to be able to make decisions based on what is best for our shop. That said, when Etsy gives us a blatant clue about how to become more visible in search, like they did in the September 2018 Etsy SEO update, it pays to at least think about how we can use this this to our advantage. BUT… let’s do this thoughtfully and not just make hasty decisions based on partial facts! 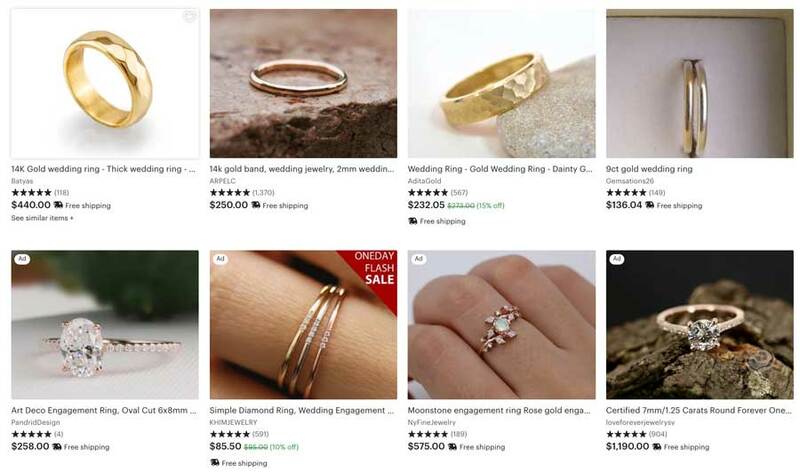 Etsy search factors shipping price into search ranking to make it easier for shoppers to find listings with competitive shipping prices. Listings with lower shipping prices are more likely to rank higher in search. Offering free shipping could improve your search ranking even more and shoppers will also see a free shipping badge on the listing in search results. 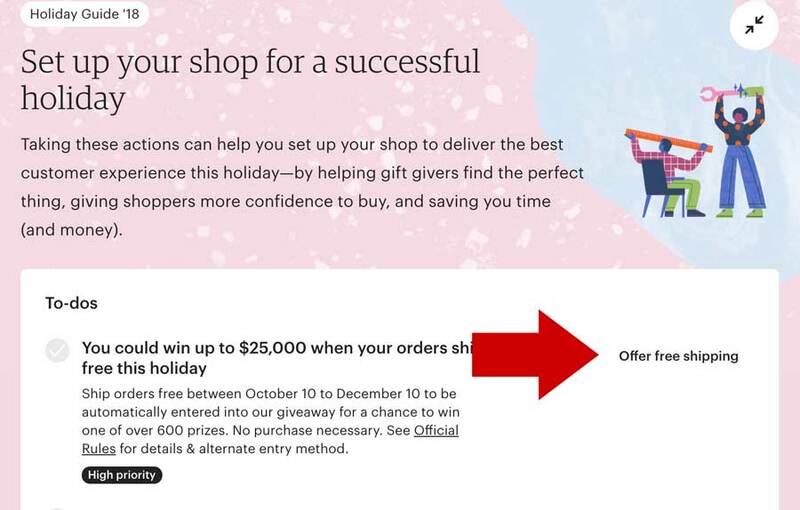 They did not say that if you won’t offer free shipping you will not be found in search, AND they didn’t say you have to offer completely free shipping to take advantage of this, they functionally recommended considering splitting the difference with the buyer. I hadn’t noticed it because in my shop manager items still showed without the free shipping button checked in my listings back end so I wasn’t aware of it until I sold a picture frame that did not have free shipping in my shop manager, but did have a “free shipping coupon” applied. One thing I had worried about was how to handle Priority or Priority Express orders, especially with the holiday season coming up and those last minute shoppers. Well, it is super easy, if you have calculated shipping. Etsy simply adds the additional shipping cost as a dropdown for the customer to choose. How Much Does Your Product Weigh? 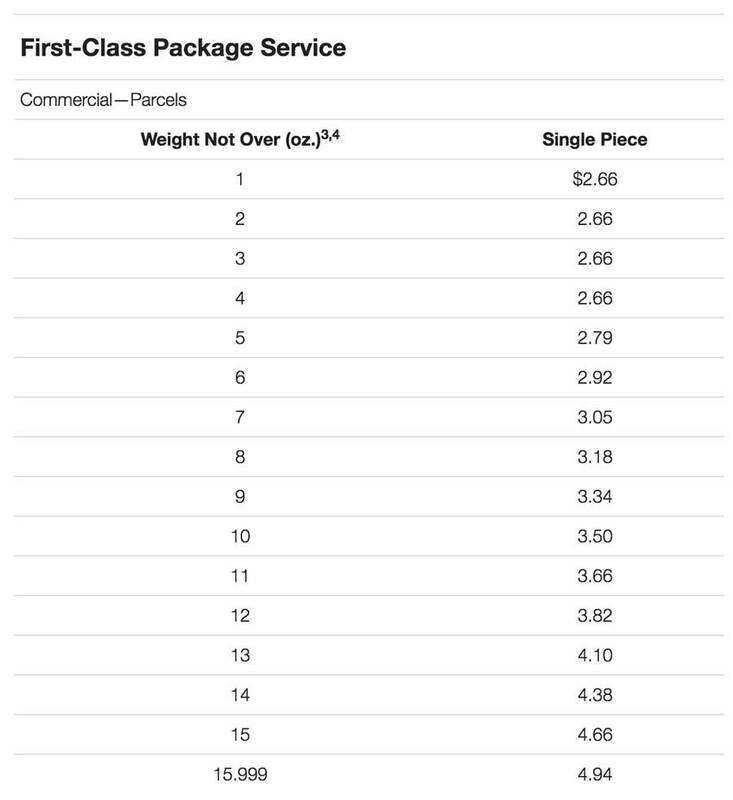 Here is a rate chart for commercial pricing of first class mail from the USPS. So let’s say you sell something that weighs 3 ounces. You could simply up the price by $2.66 and be totally even, right? 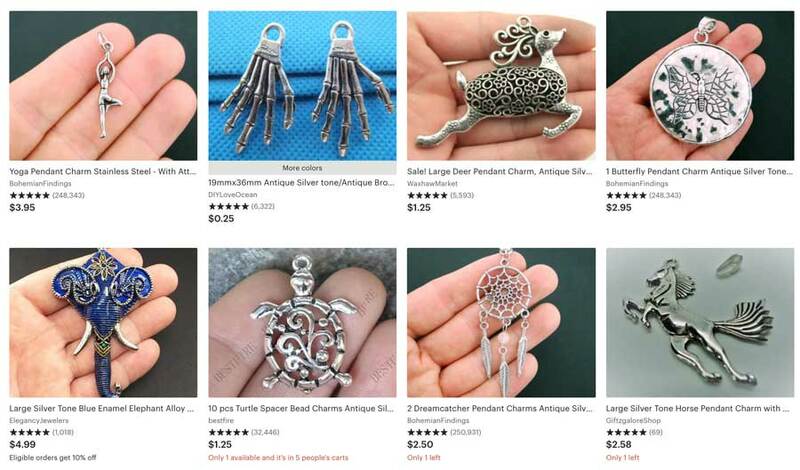 But what if you sell something light AND inexpensive like a small pendant charm. If you were to charge a middle of the road price in this search, say $2.50 and then add $2.66 to that for “free shipping”, you could price yourself out of the market fast. What you could do in this case is offer free shipping on quantities over a certain amount that would make sense for a profit. Because the cost of the shipping will only be effected slightly by each additional piece, the overall cost of providing free shipping would be reduced at larger quantities! 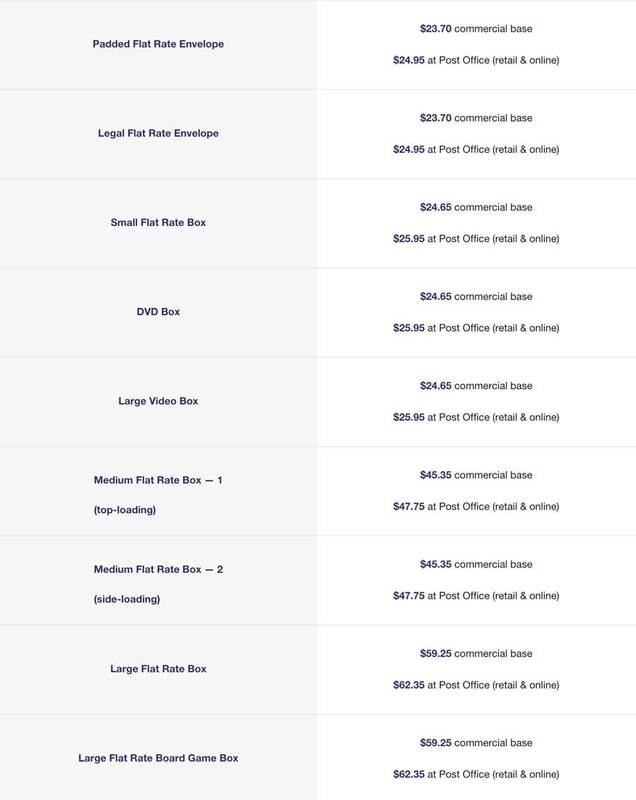 As you can see, even adding around $6 to ship these out in a Priority mail flat rate small box there wold not be as much of a hit to the pricing (and all of these sellers ARE offering free shipping so it makes it an almost necessity). Note: For something of this cost you would want to have insurance on it. By the time you add the cost to ship first class PLUS the add on insurance it would be worth it to go a Small Flat Rate Box or another box in a Padded Flat Rate Envelope. That said, this seems like a place where you could “split the difference” with your buyers. Here is a way to do that by estimating the cost to ship and then making it comparable to a “reasonable” or over lower cost shipping fee. For this you would pick Fixed Cost Shipping, make your US shipping free and then reduce your shipping costs below their actual price for your International customers. The next thing that we can talk about intelligently paired with free shipping is if you make products that fit easily into Priority Mail Flat Rate Boxes. In this case you could easily estimate the fixed cost to ship and then determine if you want to add completely free shipping or if you want to offer reduced shipping. For this you would simply raise the price of your products the correct amount to cover the flat rate cost in the US. Say you sell a product that will fit into a Medium Flat Rate Box, right now that costs $12.85 to ship in the US. So if “normal” price for the product is $45, you would add the $12.85 and increase it to $52.85. You could even price it at $50 and eat a little bit of the cost of shipping so your price doesn’t look weird. So let’s say we are adding $10 to the cost of each item to cover “free shipping”. So now we have to find out what the cost is to ship flat rate international. In this case we are looking at a medium flat rate box, which costs $45.35. BUT we still have to remember that we are adding $10 to the price to cover US shipping so we can reduce that cost by $10, making it $35.35 we would charge for shipping overseas, which I would round down to $35 to look more normal. Okay, now we are to the kinds of items I sell in my vintage Etsy shop! I sell all kinds of different weight items, some of them that are SUPER heavy and many of which do not fit into a flat rate box. 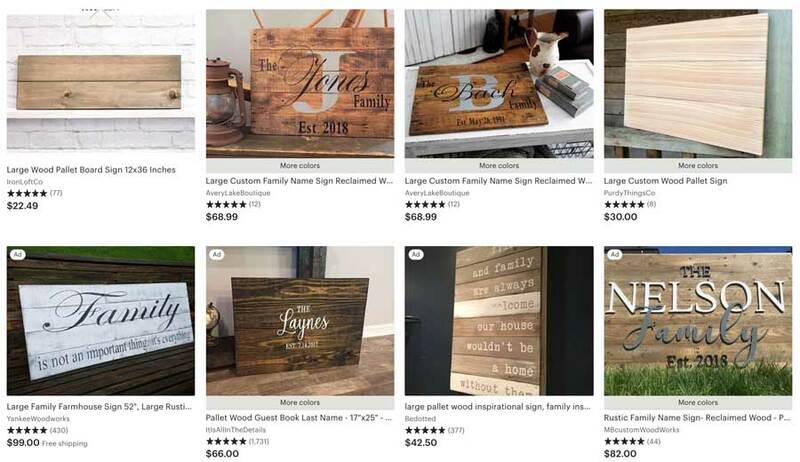 Another kind of seller that comes to mind when I think of heavy, odd shaped items are wood pallet sign makers. Their products are really heavy and often oddly shaped. Okay, as we can see MOST of them don’t offer free shipping and are priced in the $40-80 range. The one that does offer free shipping is $99, which obviously includes the increased cost of shipping. Sooooo…. if I was selling something heavy that has a lot of competition I would check and see what the majority of the sellers are doing and match that! If everyone is offering free shipping and prices are high across the board, then you can offer it and raise your price. BUT if no one else is offering free shipping and your cost just seems to be 20-30% higher than everyone else, you may lose sales because you see out of line with what is “reasonable”. There is no fixed answer for this question, we just have to look at what is happening in our niche and see which is going to work the best for our business. Okay, I have heard A LOT of questions about free shipping since Etsy made their pronouncement and I thought I would address some of them. PLEASE know that these are my thoughts and you should do what is best for your shop! 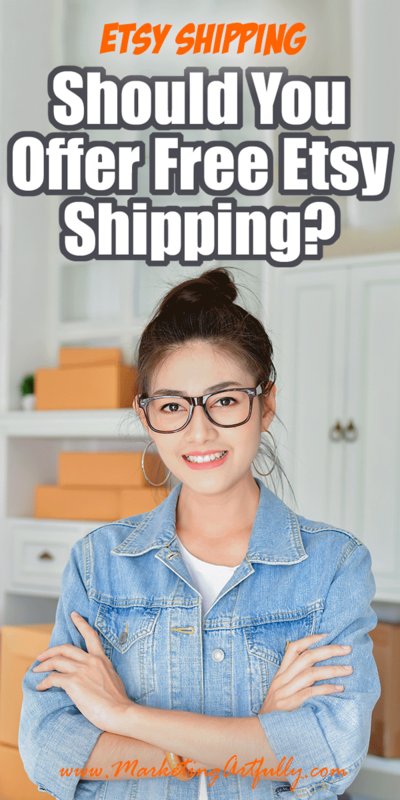 Why Do You Want To Do Free Shipping In The First Place? This is a question fraught with controversy and depends a lot on your world view. What Are The Drawbacks To Offering Free Etsy Shipping? I feel like there are some true drawbacks that should be considered when offering free shipping. Free shipping is not free. If you are pricing your products fairly in the first price, you will have to increase prices to make your “free shipping” feasible. When the post office raises prices you will have to raise your prices manually. There is no clear “cost” to cite if the buyer requests to return the item. How Do You Handle It If You Offer Free Shipping But They Want It Delivered Faster By Priority Mail? They let you do that with a shipping profile. You can set it for free domestic shipping with a priority upgrade for the full cost of whatever it would cost to ship the farthest away from you. So I would use the furthest state away for that cost. You can set up international shipping with a cost to it too, it doesn’t have to be all free everywhere. Her YouTube videos are a great source of knowledge for handmade sellers! I don’t know about you, but I have messed up either the size of a box or the weight on an item and gotten BURNED on the cost to ship something internationally! Choosing free international shipping just increases the odds that you will someday have a big “oopsie” and wind up not making any money or even owing money on your transaction. 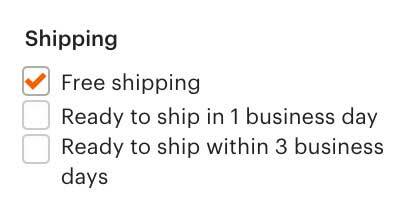 In this case you would select Calculated Shipping and then check the box for “Free domestic shipping” and let Etsy calculate the overseas shipping cost. The problem with this is that your “free” domestic shipping is already built into the price of the product so you may be priced too high for international buyers to be interested. What About Mailing It With A Stamp For Light Items? Another conundrum is for Etsy sellers who sell something super light AND super cheap like stickers. These gals often ask if they should just use an envelope and a stamp instead of using the Etsy shipping labels. In that case I would FOR SURE use free shipping as a way to make Etsy happy about free shipping in search. Here is a Reddit post that talks about it much more intelligently than I can! Now, I don’t recommend this personally since you don’t have tracking BUT your shop, your shipping. Do what makes the most sense to you! Why Do Sellers Have To Pay Fees On Shipping Costs If They Don’t Offer Free? What that means… if they don’t charge fees on shipping then you could look amazing in search by offering a product for $1 and then add a $35 shipping charge. Sneaky people in the past have done this and messed it up for everyone. I have a super cool Etsy shipping course on Skillshare that could help you get started with your Etsy Shipping!